Richard Allen Oppelt, 65, of Melbourne passed away peacefully on Saturday, October 20, 2018, while in his home surrounded by his loving family. Richard was born in Alice, TX, on March 9, 1953, to the late Catherine and Herman Oppelt. 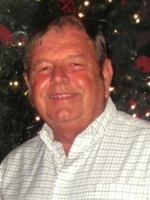 He moved to Satellite Beach in 1973 where he met Janice Crane while working together at Publix. The two were married on March 9, 1975. Richard established East Coast Sandblasting in 1983 and found success as a business owner for over 30 years. He was known as a family man and enjoyed family outings, vacations and especially the Christmas Holiday, welcoming extended family and friends into his home to share his joy. His warm personality and kindness was cherished by all who knew him. Richard is survived by his wife Janice, sister, Nancy (TX), children Richard Jr., Derrick, and Kristi, and eight beautiful grandchildren, all of whom reside in Melbourne. Preceded in death are his brothers, Herman, Roger, and his sister Betty. A viewing will be held at Beach Funeral Home, S. Patrick Dr., IHB from 4-7 Wednesday, October 24th. The service will take place at 11a.m. on Thursday, October 25th at Holy Name Catholic Church, A1A, Indialantic. To send flowers to the family of Richard Allen Oppelt, please visit our Heartfelt Sympathies Store.